Thank you Ms. Jackson for helping me! Thank you for teaching us! Thank you for letting me talk to you! Thank you for everything! This entry was tagged gratitude, growing up, inspiration, kindness, mentorship. Bookmark the permalink. 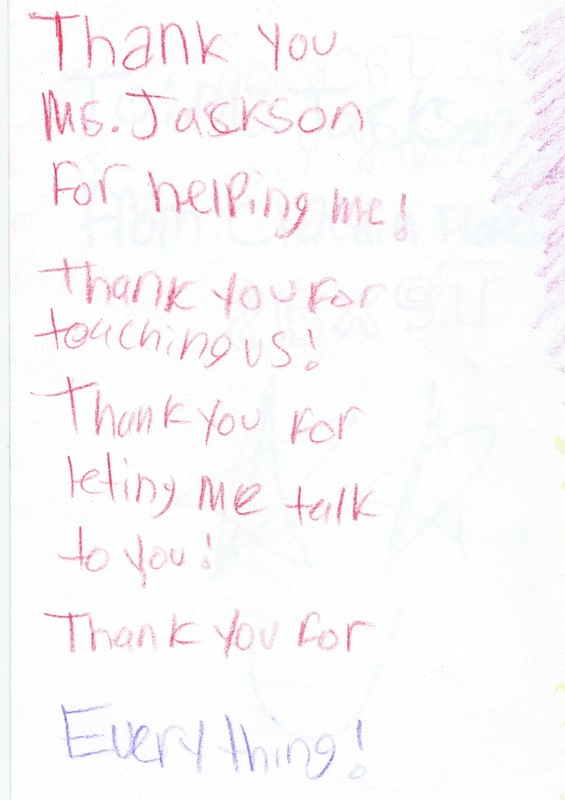 Kids always remind you of why you’re doing the work even when you find yourself getting weary. Be blessed and walk in favor and power! I couldn’t agree with you more! Thank you for this note of encouragement. Your blog is a source of inspiration for me, and the wisdom you share with all of us is a gift.